Agriculture is a capital intensive enterprise. It’s no secret that a great working relationship with a bank and its lending staff is critical to the success of your farm operation. During my career, I have requested financing for my part-time row crop and cow-calf venture. I’ve also enjoyed the responsibility of underwriting loan requests when I worked in banking as a Credit Analyst and later as an Ag Lender. Having experience on both sides of the loan transaction, I offer five suggestions for valuable communications with your lender. Technology gives us the ability to do business with people located all around the globe. You’re not limited to working with the local bank. However, there’s a great deal of value in face to face communication. Invite your lender out to the farm and show them the strengths and pinch points of your operation. A walk around the home place gives your lender context about your operation beyond what can be learned in meetings and phone calls. Besides, if there’s one thing Ag Lenders love more than $5 cash corn, it’s an afternoon out of the bank. A farm tour is a great way to build rapport and show off your hard work. You need complete information to manage your operation and your lender needs the full financial picture to meet the needs of your operation. No one wins with incomplete financial statements. Maybe it’s a couple bills left off the payables list to make working capital look better. Or maybe you only open the mail when the stack reaches a certain height. Whatever the reason, a liability left off the balance sheet still needs to be paid and it will come to light and some point. On the flip side, don’t forget your assets. I was working with a young farmer on a year-end balance sheet to renew an operating line for next year. I started to sweat bullets as we were headed towards a serious working capital crunch. We took a break to let the numbers sit and decided to review it again later in the week. On the drive home the young farmer remembered he an additional bin of stored corn and could add 9,500 bushels to the balance sheet. Phew! It’s tempting to key in on a price level or set your mind on a yield goal that will make or break your year. As you know, revenue is a function of both price and yield. And within each you have moving pieces of futures markets, local basis, delivery month, moisture, etc. I recommend setting your revenue target in total dollars and mapping out multiple scenarios of price and yield. This will help both you and your lender game plan for the year. Build a spreadsheet, or some system, that allows you to track progress and illustrate a range of future outcomes and their impact on your finances. Update your progress regularly. It’s a tool to communicate proactively with your lender. Print it out, drop into the bank and explain what you’re tracking and what you’re seeing. As the year goes on, show the lender your progress. It doesn’t have to be an hour-long presentation. Even an email attachment with the latest update builds trust that you’re monitoring changing conditions and willing to act. 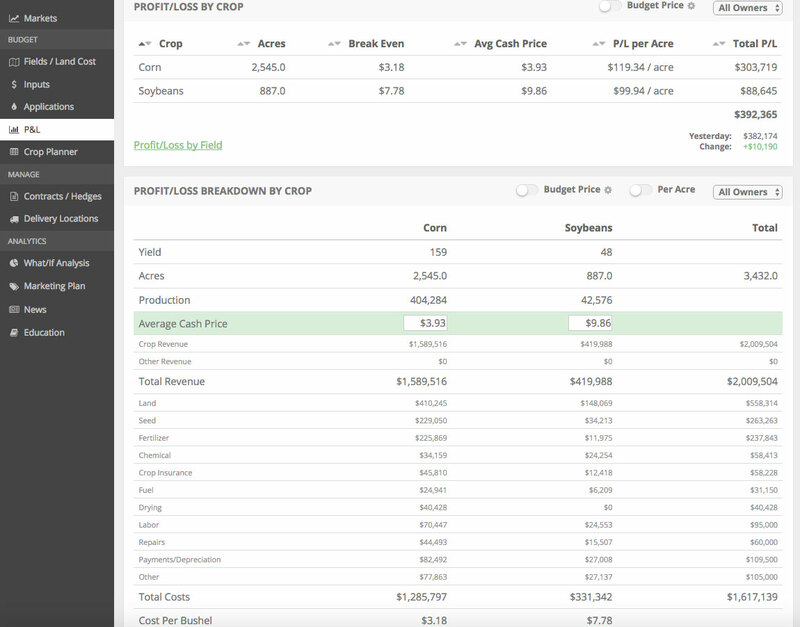 Whether it’s a spreadsheet tool or a pad and pencil, most farmers make a budget for the crop year. Projections are a fantastic tool to navigate the future. Unfortunately, they often disappear when the snow melts away. You’ll learn and improve your budgeting system. Maybe you’ll notice that you always miss high or low on a certain line item and you investigate further and learn your assumption was slightly off line. You build credibility with the bank. Your bank will likely advise its lenders of a default price or yield estimate to use for cash flow projections. Having a history of budget to actual comparisons gives you leverage to justify your financing request. One last suggestion to set yourself apart from other customers in your lender’s portfolio: show that you care about the money the bank is lending to you. A bank provides debt financing not venture capital. Net interest margins are not wide enough for a bank to take losses along side you. Risk taking is a natural part of operating a farm. But don’t expect your bank to sign on to a scenario where full repayment depends on the profitability of the next pen, or group, or field. Banks are not designed to shoulder that level of risk. Kristopher Hauswirth is a farm kid with career experience on all sides of the accounting and finance industry including tax preparation, banking, and private accounting. Kris is on Twitter @kfhauswirth and blogs on Facebook @AccrualAcres.